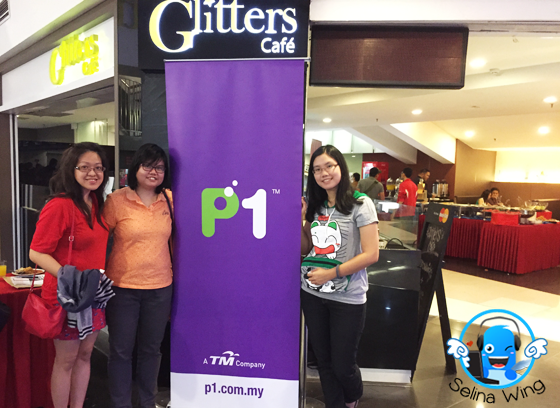 P1 OMA Nite: Jurassic World @ GSC One Utama! Rainfall and I also jumped out as we excited when my friend, Rainfall finally got 4 tickets since she joined the P1 OMA Nite @ Jurassic World! She was lucky than me! My sister and I joined her to enjoy the Jurassic World. She told me that it's 4 series movie again, but I cannot remember that when the Jurassic Park movie which we watched so long time... I never forget the story of Jurassic Park, make me really like it so much since I was teenager! 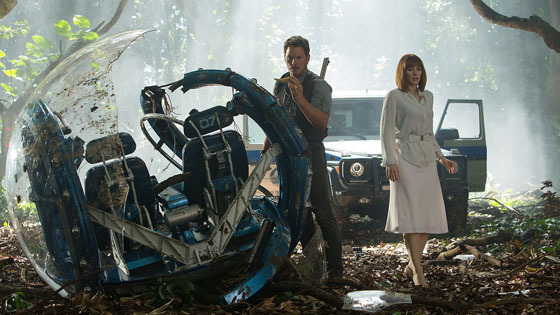 Now, Jurassic World are back in 2015 now! I was really happy! My sister and I finally managed to reach at GSC Glitters Cafe, One Utama. We are happy to meet Rainfall then we busy to chat-chit each other, until P1 staff love to take a photo on us! You can check on P1's instagram #p1omanite if you want to see more photos in their gallery! 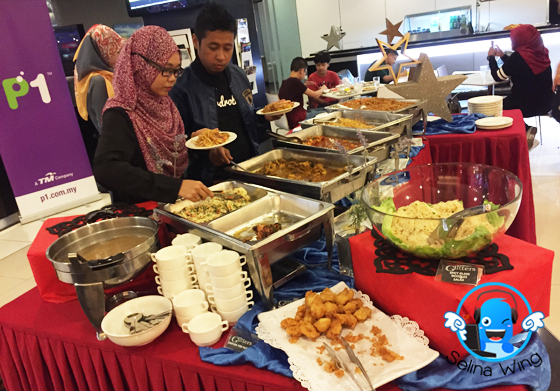 Thanks to P1 OMA, we really glad that they provided the dinner for us after we rush to One Utama after work in the office! 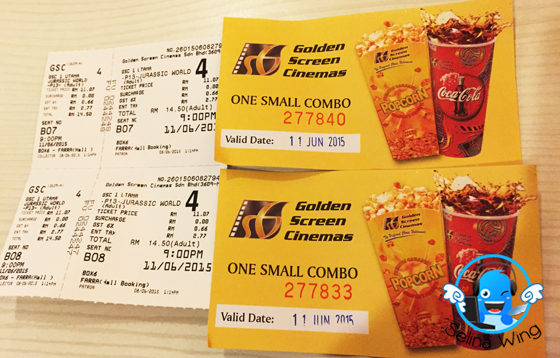 We got 2 tickets and free small combo popcorn and coca-cola drink too! P1 OMA staffs also welcomed everyone who went in the hall cinema, then P1 CEO started to introduce something about P1 "Ready2Play", finally we are ready to watch the Jurassic World! T.Rex will come out as HERO as we hope! Make you felt shocked or scared for your safely when you are in the Dinosaur World! For example, Dinosaur attacking other dinosaur and human, then eating them in the Dinosaur world! Wah, Impressive. I like that part; how they managed to track the Dinosaurs and humans in the Theme Park under the tech-risk of security. I amazed with the technology modern build a very amazing theme park "Dinosaur" in an island! 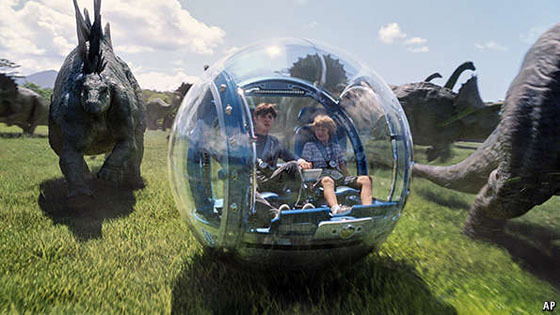 I love to sit in a tech ball which can bring us to explore around the living dinosaur in the safe zone! I fell love with a very beautiful natural view get the cute Dinosaurs, it looks like real! We learned a lesson about never let our emotional to control us if we are over our limit of action! You need to calm down when you face with a violent Dinosaur around you during the dangerous situation. I see Owen who is a patient guy, who care of his people first, and always make sure everyone are safe with him, especially Claire, his ex-lover, and president of "Jurassic World", Theme Park, and Claire's kids. First time, I heard about new "Indominus Rex", created by mad scientist Dr. Henry Wu, is a hodgepodge of T-Rex, that is why Wu decided to mix the T-Rex-Velociraptor with the genes from the other animals! So, it is not good to create a Indominus Rex, to be killer - more violent! I also surprised that the Dinosaur also can become intelligent! The Indominus is a violent creature, and Masrani wants to make sure that the attraction is completely safe before they open it to the public. I never expected that they think the idea to make a pretty interesting part as the militant leader who really wants to turn Raptors into war weapons! If we are living in the Dinosaur world, we will be ruled by a King Dinosaur?? Who can kill the Indominus Rex? Finally, T-Rex come out to become King who saves the Dinosaur and human from the Indominus Rex who killed many dinosaurs! 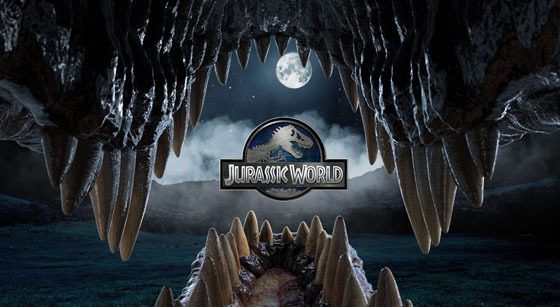 Wow, we enjoyed to see a great battle between Indominus Rex and T-Rex, with help of Owen and Velociraptor! Great! I also be thankful to Rainfall and P1 OMA! I really hope Rainfall, better to try her luck to join the P1 OMA's contest, ya! Hehe.